Struggling to Get Outstanding Results? Are you a Business Leader who wants to motivate employees and teams to put your company and your career on top? "Improved our operating margins by 30%!" Want to know how the best leaders become so successful and how you can apply these tactics to grow your business and your career? Hi, I’m Brent Filson and if you manage a team, a division or a company you know how hard it can be to get everyone working together, going in the same direction to achieve any kind of results much less to transform your company and make it one of the best in the country. No matter what product or service you provide, the biggest expense is the people you employee. They’re also the biggest barrier to success unless you know how to help them come together and take your company to the top. “If you want to learn how to motivate two, two hundred or two thousand people – Brent Filson knows the answer!" What does every leader want to know? You could get out the whip like the Romans did with their galleys, or you could read every book on leadership you can find – but what would you have? Would you have a proven system, one that’s guaranteed to help you increase your profits? “His two-day intensive is a winner!" There is a better way to lead your company! For the past 25 years, I've been working worldwide with leaders in dozens of blue chip companies such as General Electric, Exelon, Sears, Southern Company and more (see the list on the right). I’ve helped put their organizations and their careers at the top. Want to make a difference at your company? Discover the powerful leadership systems any leader can use to motivate employees to achieve results that can be measured, validated, translated into money saved/earned, and used as springboards for even better performance. Ready to help your employees achieve outstanding results? 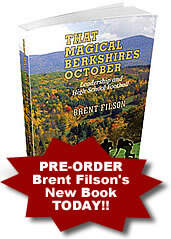 “Brent Filson’s methodologies get results!" Explore the leadership articles and free resources on this site including Brent’s leadership ezine, and interviews with leaders.